100% pesticide free formula. Used to combat flying and crawling insects such as flies, wasps, ants and fleas. Can be used both indoors and outdoors. Pet friendly. 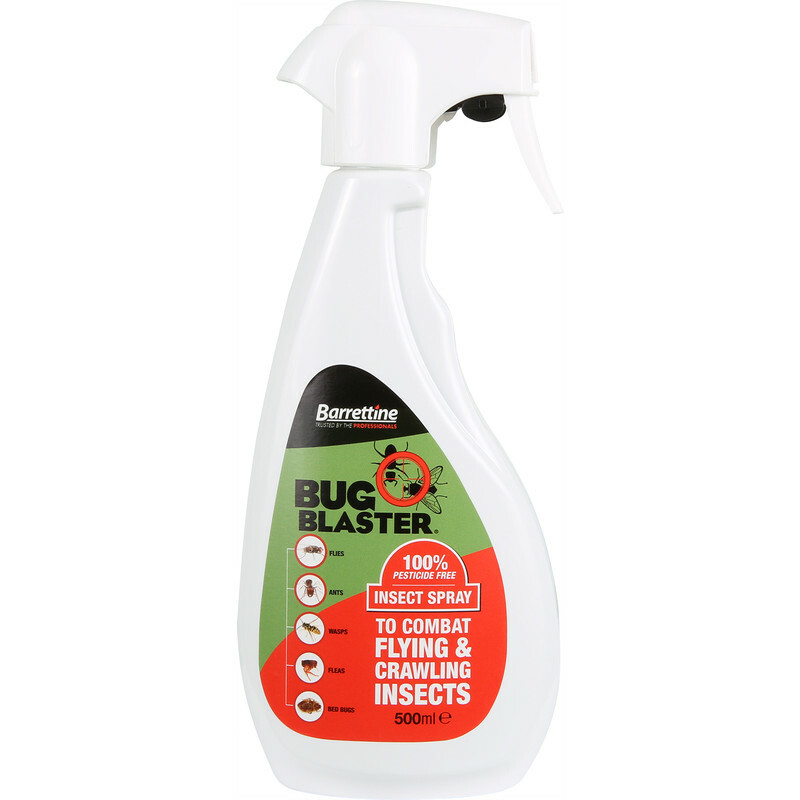 Bug Blaster Insect Spray 500ml is rated 2.6 out of 5 by 5. Rated 3 out of 5 by Mountain Goat in Brewham from Not all it says on line. Write up says for wasps. Wasps not shown as a target species on container. Manufacturer advised multiple applications to kill wasps. Not what I hoped for. Rated 1 out of 5 by MB0074 from Don't waste your money I bought this couple of weeks ago to get rid of some insect that I don't know their name. Looks like flea, jumps about but smaller then flea. Anyway unless you try to drown the insect in it this was useless. Not tried it on any other bug/insect etc. Not impressed. Rated 3 out of 5 by zebbie from Not a bad product ! I brought this bug blaster a couple of weeks ago..it seems a bit slow to work, but does eventually work ! Rated 2 out of 5 by Tom N from Not very effective Although it's odourless and doesn't leave a sticky residue, it doesn't really work very well. I might as well be spraying the bugs with water. For all I know, I might be.